Pickwick Hall is owned and managed by Patrick and Clara Hancock who have been managing Bed and Breakfast hotels and this hostel in the Bloomsbury area for more than twenty years. 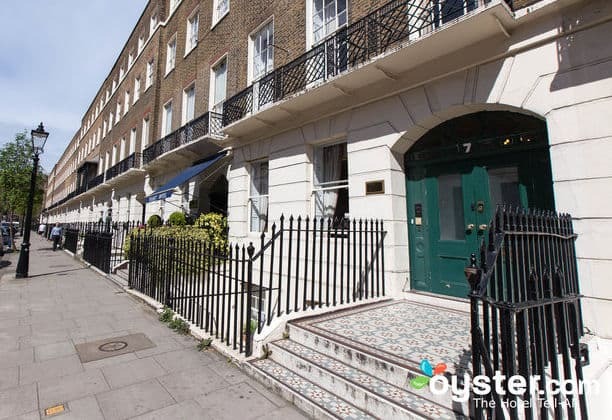 We have always specialised in providing welcoming accommodation for students and families and we are dedicated to the Bloomsbury area of London. Both Clara and Patrick are volunteer guides in a total of six galleries of the British Museum and also tours of highlights of the Museum and the renovation and other technical departments. Clara Hancock is an artist who paints on silk and makes sculptures in wood and stone; she has exhibited in a number of galleries in London and in her native Colombia. Further details can be found at her web site: www.clarahancock.com. The buildings that now line Bedford Place were constructed in 1802-03 on the site of Bedford House that was demolished two years earlier. Bedford House was built and named Southampton House for Thomas Wriothesley, 4th. Earl of Southampton in the early 1660's, just before the Great Fire that destroyed much of the City of London a mile to the East in 1666. In 1734, Southampton House was bought by the Duke of Bedford - a substantial landowner in this area - and renamed Bedford House. Even in the mid-eighteenth century, Bedford House was on the limit of London (City of Westminster) and overlooked parkland and farmland: Rocque's map of 1762 shows Bedford House and its neighbour to the West, Montague House (now the site of the British Museum) to have been bordered on their North sides by Lambs Conduit Fields and other farmland with remotely-scattered farms and country houses. However, urban development followed quickly and by 1835 the land had been built upon from Bedford Place to Euston Road (previously called New Road). Rocque's map referred to above and Cross's New Plan of 1835 are in the entrance hall of Pickwick Hall.